"Grindsted Gymnasium". 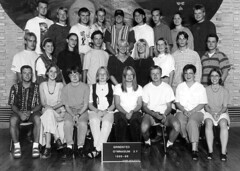 Picture of the class of 1993 (3.y). Picture was taken in 1995. Click to enlarge.